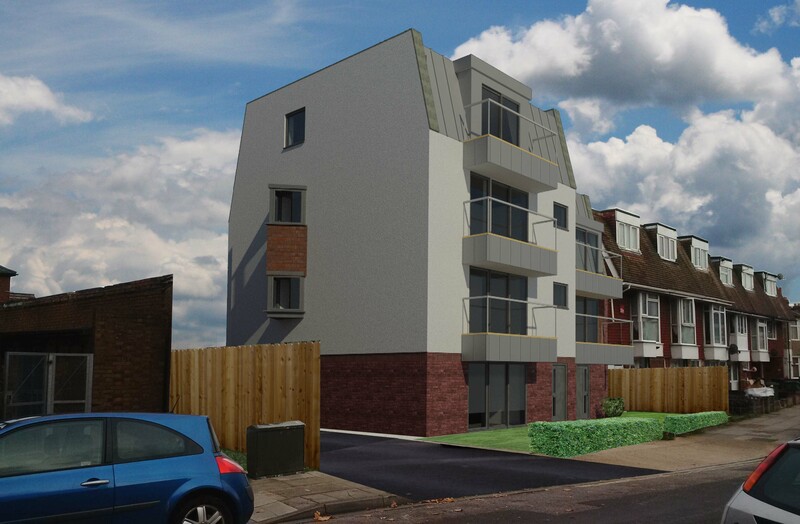 This project comprises the redevelopment of a plot of land currently containing garages into 7 no. flats (4 no. 2-bed and 3 no. 1-bed), all with generously sized rooms and private balconies. 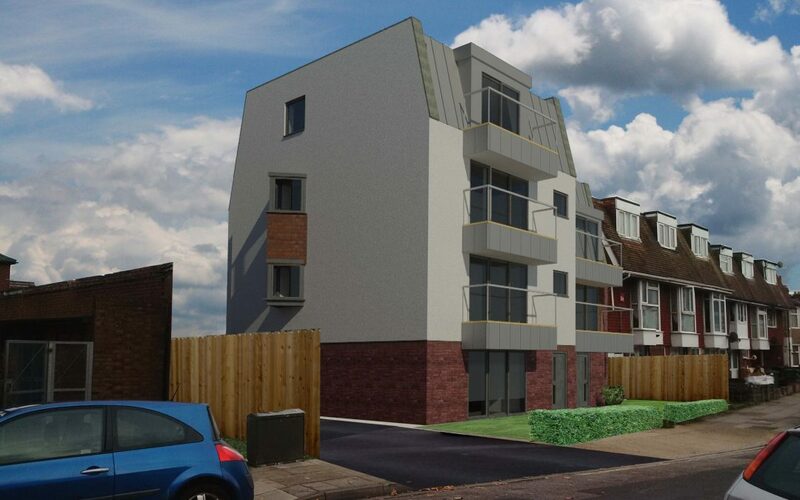 The design reflects the client’s requirements for mix of units and materials respond to adjacent houses (in close proximity) and nearby flats, while maintaining a contemporary style. Off-street car parking is located within the new rear car park, together with bin and cycle storage. The project successfully achieved planning permission in February. Works are due to start on site summer 2018.